Last week I shared these beautiful hyper colorful painted paper plate flowers. Since y'all seemed to enjoy them so much, today I'm continuing with the paper plate craft theme and sharing these lovely paper plate butterflies as well! 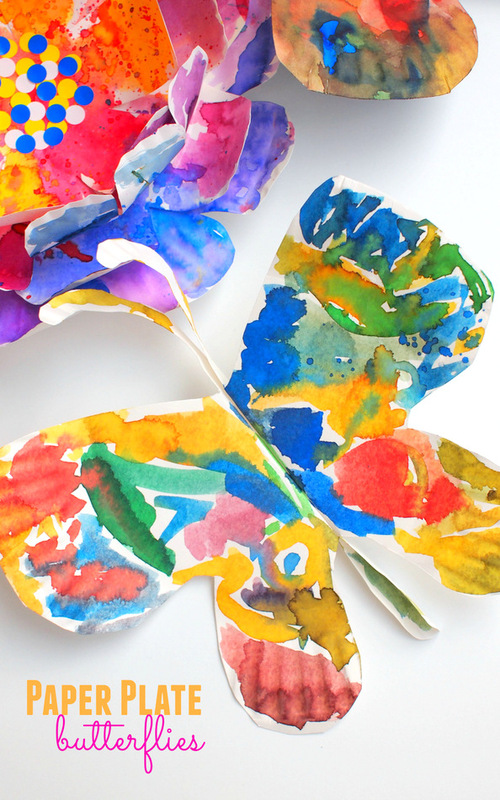 Gorgeous Fluttering Paper Plate Butterflies! These butterflies were cut and folded quite similarly to my previous gigantic fluttering butterflies.... except that this time we used paper plates ! To make the butterflies, I simply folded the paper plates in half. Then, I cut out a butterfly shape. Then, I folded the wings down and stapled the body together. Voila! To decorate them, we simply grabbed our favorite paints and got to work painting the butterflies alongside our flowers. Once the paint dried, we had a blast fluttering our butterflies around our backyard. If you liked this craft, you might also like these others too!